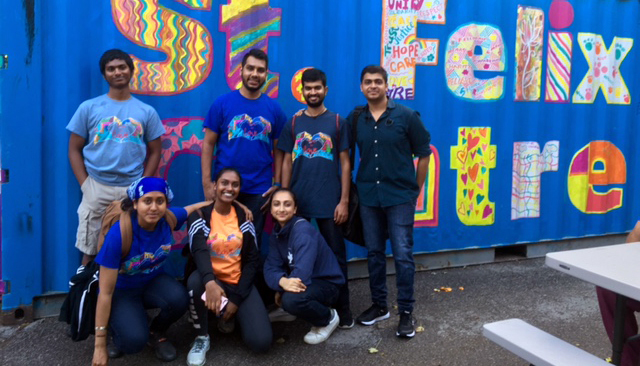 On Saturday, August 25, seven members of the Toronto chapter of AYUDH helped prepare and serve dinner to one hundred clients of St. Felix Centre. St. Felix Centre is a multi-service community centre that serves some of the most disadvantaged and marginalized members of the downtown Toronto community. Many of St. Felix Centre's guests struggle with homelessness, drug addiction and mental health problems. Through its Respite Services Program, St. Felix Centre provides food, shelter and counselling 24h a day, seven days a week. 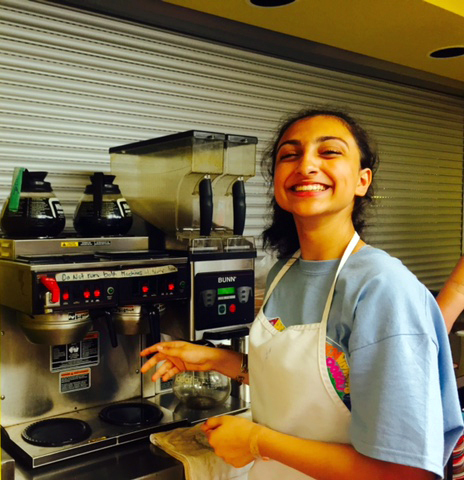 On average, that adds up to 10 000 free meals served each month! This incredible service would not be possible without the generosity of St. Felix Centre's donors and numerous volunteers. Full of inspiration from the recent AYUDH Americas Summit in Chicago, AYUDH Toronto members were ready to roll up their sleeves and get in the St. Felix kitchen. After leaving St. Felix Centre, the AYUDH members and their adult mentors enjoyed a pizza dinner, and discussed their experience that evening. Some of the youth had never before witnessed such levels of poverty and addiction in their home country of Canada, and felt shocked and saddened. The meal portions served were necessarily small in order to feed everyone, and the guests had little choice over what they ate. 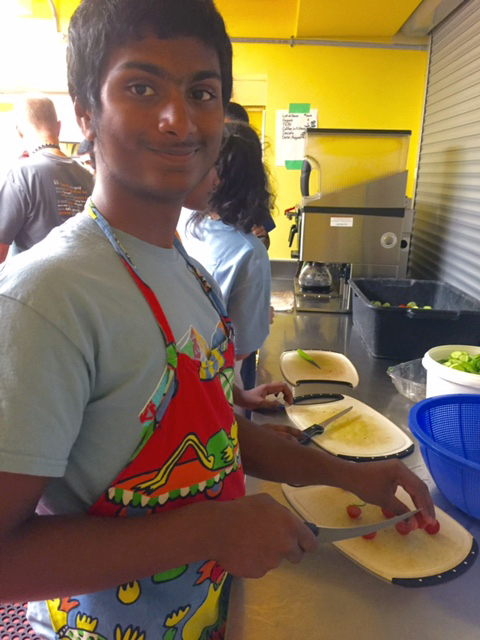 What a contrast with the abundant food portions and choices that the young volunteers enjoy each day. As August 25 coincided with the Keralan Thanksgiving festival of Onam, the volunteers reflected with gratitude on the many blessings in their lives that are easily taken for granted. One AYUDH member said that the St. Felix Centre staff and volunteers are embodying Amma's teachings on selfless service of those in need. They are truly among the unsung heroes of our community. Being able to live Amma's teachings in this highly impactful way was deeply satisfying for all involved. AYUDH Toronto's members and mentors are so thankful to St. Felix Centre for welcoming us and helping us serve others. They look forward to repeating this experience again and again.